This ebook is brand new and scheduled for Amazon Kindle release on Sept 21st. 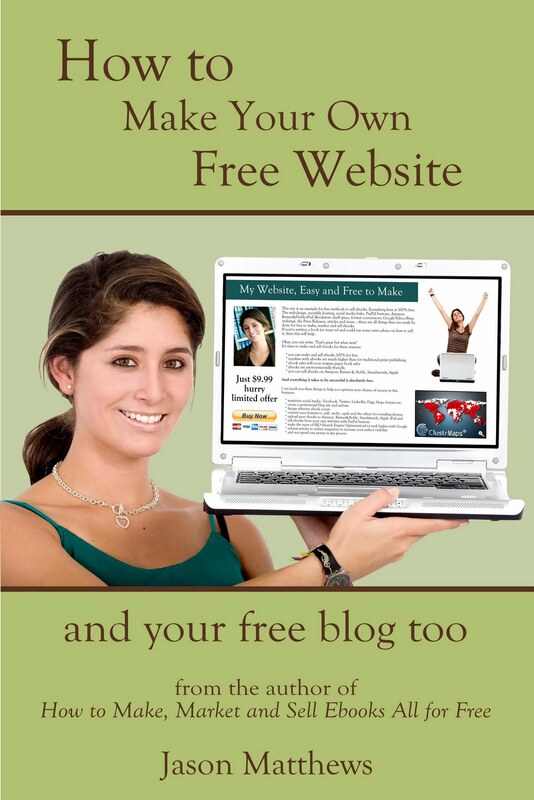 If you want to learn how to make your own free website, then look no further. Especially designed for those without knowledge of HTML coding, the guide highlights free web hosting and blogging sites that come with easy to use site building software. See examples at http://your-own-free-website.webs.com/ and http://yourownfreewebsite.yolasite.com/. Easy to follow and packed with no cost methods, tips and online programs that will help anyone make a free website. It's written by Jason Matthews, author of The Little Universe, Jim's Life and How to Make, Market and Sell Ebooks All for Free. Feeling Stuck in the Tangled SEO Web?